At the Henley Literary Festival on Saturday 5 October - talking about the 1990s. At the Dylan Thomas Festival in Swansea on 2 November - talking about Terry Nation as a Welsh writer. Do come, if you're at a loose end. The new issue of BBC History magazine is out today, a fact which I only mention because it includes my review of Charles Moore's biography of Margaret Thatcher. It's a bit late, of course, but that's because the book was published so opportunistically as soon as she drew her last breath - magazines have longer lead-in times and can't respond with such indecent haste. The review isn't available online, but in broad terms: I didn't concur with the other reviews that I've seen. I don't think it's a definitive account of her life and works up to the Falklands War (where this volume stops). I still rate Hugo Young's One of Us as the best account. One thing I wanted to mention, but didn't have space in the review is the convention of adding a biographical footnote to everyone when they make their first appearance. This is a tendency that can be bathetically entertaining - I still cherish, for example, the reference in Joe Orton's diaries to Joseph Goebbels, where the editor John Lahr added a note to tell us that the Nazi propaganda minister got a PhD from Heidelberg University. What irritated me in the Thatcher biography is a variation on the same theme: a scrupulous insistence on recording what school everyone went to. Does it really matter that much? Maybe it does to Charles Moore (Eton; Trinity College, Cambridge), but amongst grown-ups I rather feel that there comes a time to put away childish things and to be defined by something a bit more substantial. I have a website called Trash Fiction, which reviews the contents of my bookshelves. Admittedly, I haven't added to it for several years, for various reasons (mostly because I've been busy elsewhere, and also because it's becoming increasingly difficult to track down the kind of stuff I like at a reasonable price: charity shops simply aren't what they were). Even so, I still have a great fondness for the popular fiction of earlier times, particularly that of Britain in the 1960s and 1970s. And I've long had a fantasy of getting some of this stuff back in circulation. Not the real trash, you understand, but the books that have been neglected for a couple of decades or more and shouldn't have been. Popular fiction that's well written, entertaining and revealing of its time. The existence of e-publishing makes this a real possibility. 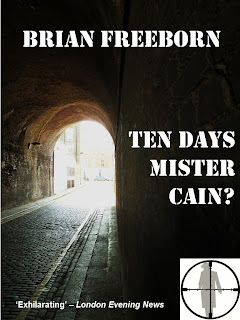 And I'm pleased to say that over the last few weeks I've been helping Brian Freeborn make available on Kindle the two novels he published in the mid-1970s: Good Luck Mister Cain and Ten Days Mister Cain? And now there they are, available for download at Amazon. I'm hoping that this is the start of a longer project, in which other lost masterpieces can be reclaimed. 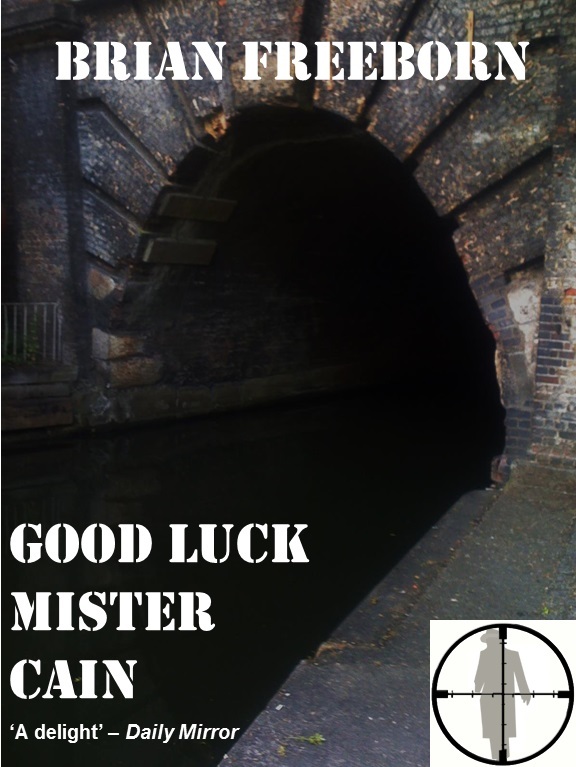 But even if it isn't and my energy flags, it's been worth it just to bring Mister Cain back to life. When I wrote a book about Terry Nation a couple of years back, I obviously spent a chapter talking about his great 1970s post-apocalyptic series Survivors. And within that was a discussion of Nation's novelisation of the story, which was an alternative version of the first season. What mostly got excluded was the sequel to Nation's novel, Survivors: Genesis of a Hero. This was published in 1977 under the name John Eyres, about whom I could find nothing, though it was obviously a pen-name. More recently, however, I've been in touch with Peter Hill, the man who actually wrote that book and who was also responsible for several other novels in the period under his own name. 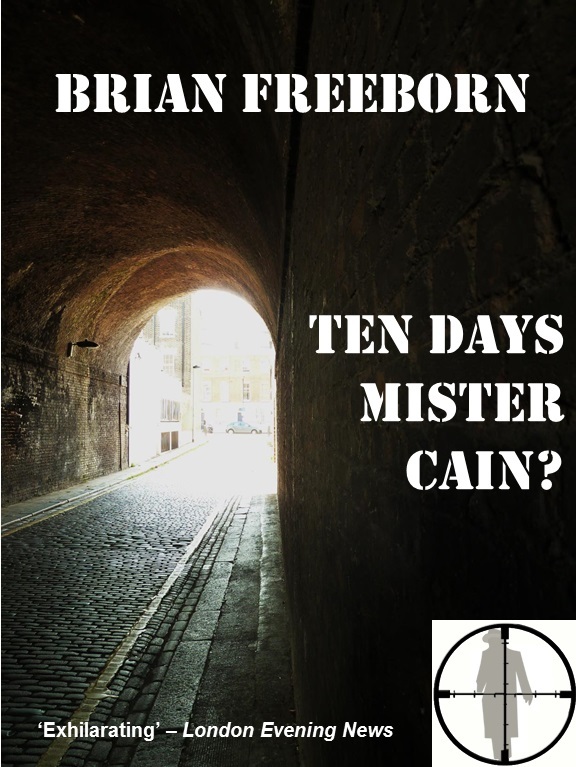 And I'm happy to say that Peter Hill is still writing and that his most recent work, a near-future thriller titled Killing Tomorrow, is now available via Kindle. 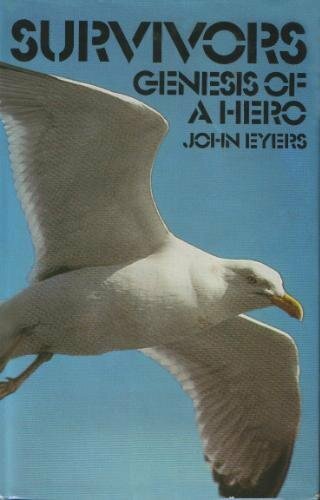 Survivors: Genesis of a Hero emerged in 1977, though it had no involvement from Nation himself, and was written instead by John Eyres. 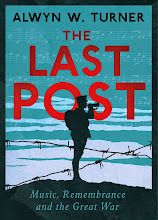 Unable to use the continuing story from television, he starts at the point that Nation's book had left off, on the beach near Dover, where Peter Grant has just shot his mother, not realising who she was until after he had fired. It then follows Peter as, traumatised by his act of matricide and believing himself to be emotionally dead forever, he rises rapidly through the ranks of the military society being built by the National Unity Force. 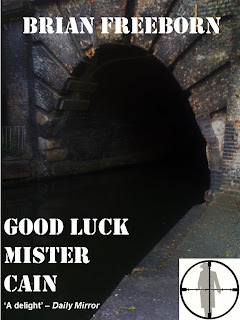 Discovering a talent for military tactics, and guided by a hazy sense of destiny, he helps suppress rival groups in the west and north and in London, before falling foul of court politics and defecting over the border to Wales, where he finds personal salvation and is transformed into a legendary hero of the survivors. The main character from the television series to feature in this account is Tom Price, whose path runs in parallel to that of Peter. But there is also a brief cameo by Arthur Wormley, now ensconced in luxury in Windsor Castle as the president of the NUF, until he is assassinated by the head of his secret police. His mistress, who then attaches herself to his successor, is Sarah Boyer (the character known as Anne Tranter in the screen version). The others from Nation's novel - Greg and Jenny and the rest - are presumably making their way south through France, though we never hear of them at all. In short, Genesis of a Hero has nothing to do with the television series whatsoever. It is, though, something of a neglected gem of 1970s pulp fiction, an entertaining romp through a post-industrial, near-barbaric future, with Peter Grant looking like nothing so much as a prototype for John Connor, the similarly pre-ordained leader of the resistance in James Cameron's film The Terminator (1984) and its sequels and spin-offs. 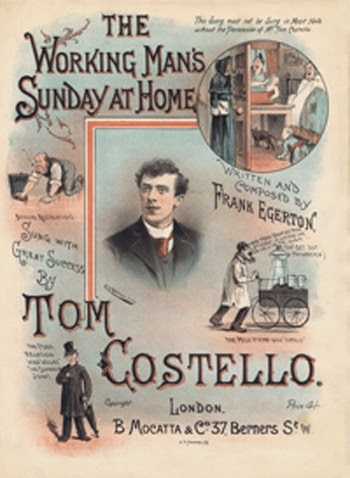 In the final chapters, things take a mystical turn and Peter is welcomed into the New Society by a trio comprising a black priest, an Amazonian warrior who looks like his mother, and a hunchbacked dwarf with the gift of clairvoyance; but even at this point, with the the whole thing threatening to tip over into absurdity, the gleeful rush of the storytelling carries it off. I'd stand by that assessment. It's a great little book and well worth tracking down. The only thing I'd add is that it's also of interest as another of the 1970s works of popular fiction that saw Wales as an escapist refuge - see also, for example, the Hell's Angels novels of Mick Norman. I'm not entirely convinced by this. I know that Beerbohm went to the Halls a great deal, from a very early age, whereas I obviously never have, but even so it doesn't seem right. Surely part of the point, even of the coster comedians, like Albert Chevalier and Gus Elen, was to express a reality that much of the audience would have known and recognised and of which they were a part. And it's the stoic response to the hardships of life - as Beerbohm himself pointed out in a 1903 piece about Harry Freeman - that provided the heart of Music Hall. Anyway, I thought Beerbohm's observations made an interesting historical counterpoint to Nick Cohen's thoughts on modern comedy.